Get a quote on the VetsMediCover website. VetsMediCover launched in 2009 and offers four insurance policies. It is one of the few companies to provide cover for pets with pre-existing conditions. All of its lifetime policies (Gold, Platinum and Diamond) cover medical conditions that have been symptom and treatment free for at least 24 months. You can find out more about their cover and get a quote on the VetsMediCover website. VetsMediCover’s policies are underwritten by Covea Insurance. 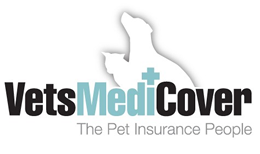 Find out if VetsMediCover made our list of best pet insurance. VetsMediCover offers one annual policy with a vet fees limit of £2,000 and three lifetime policies with vet cover levels of £4,000, £6,000 and £10,000. All policies include up to £350 for dental cover, which is often excluded from pet insurance. The lifetime cover also features up to £750 for complementary therapy. Euthanasia cover and up to 3 months cover abroad are included as standard on all policies. VetsMediCover’s Gold, Platinum and Diamond policies include payments towards prescription food. If your pet is under eight and has a pre-existing condition that has not needed treatment and has been symptom-free for at least 24 months, it may be possible to have the condition covered again. You can get a quote from VetsMediCover on their website. Bought By Many and Lifetime Pet Cover also offer varying degrees of cover for pre-existing medical conditions. Most insurers exclude these issues. How much does VetsMediCover cost? As with all companies, the cost of pet insurance with VetsMediCover depends on various factors, such as the age and breed of your pet, the level of cover you choose and your postcode. On its website, VetsMediCover says prices start from £4.04 month. That is for a Silver policy for a 2-year-old Manx cat in an AB11 postcode. Prices are likely to be much higher for a pet that has had medical conditions. All policies have a £90 excess and in addition to that VetsMediCover asks owners to pay 10% of claims for pets aged four or over and 20% for pets aged six or over. It offers a 25% online discount. What do customer reviews say about VetsMediCover? On Reviewcentre.com, VetsMediCover scores 3.4 out of 5 based on over 110 reviews. What do Expert reviews say about VetsMediCover insurance? Independent financial researcher Defaqto has awarded VetsMediCover’s policies 3 Stars out of 5 across its policy. You can see our group of owners pets with pre-existing medical conditions here.